On the south side of Chicago, Jackson Park sits quietly, regally, on the shores of our blue lake—a jewel in the crown of Chicago parks. 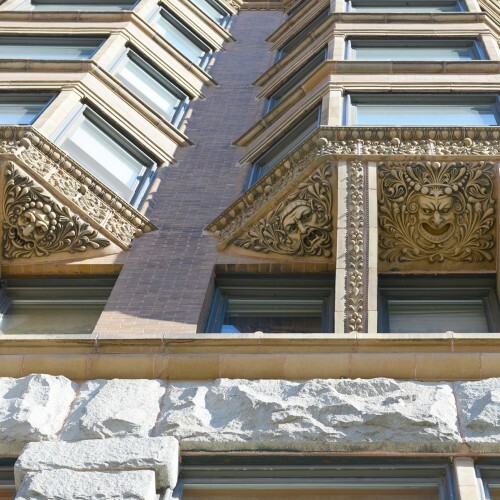 But the quiet it brings to urban Chicago belies a very busy past and a complex emerging future. 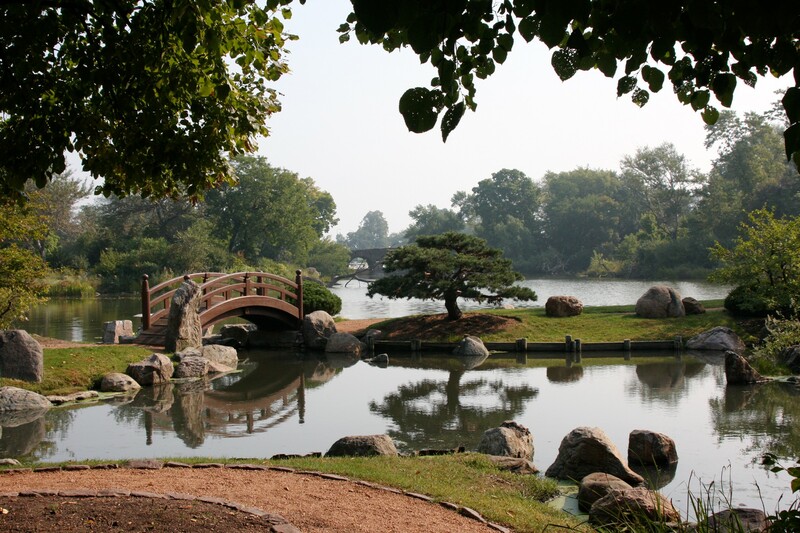 Jackson Park’s story begins in the late 1860s, just after the Civil War. The Illinois legislature passed a bill calling for the building of a system of parks and parkways spread across the entire city of Chicago. To make this dream a reality, three separate park commissions were founded for the creation of these monumental parks and boulevards in different sections of the city. The southern section, called South Park, was to be the centerpiece. 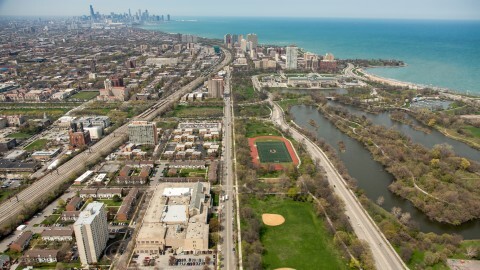 Frederick Law Olmsted—known in Chicago circles as the lead designer of the village of Riverside, Illinois—contacted the South Park commissioners, signaling his interest in designing the park. Olmsted was well-known by this time as the man who designed Central Park in New York. He was the first man to apply the term “landscape architecture” to his work. This new work in Chicago would be even bigger than Central Park and more complex in design. The challenge was enormous and made up of three parts: a 393-acre park along the lake (now Jackson Park), a 372-acre prairie park inland (now Washington Park), and a 300-foot wide one-mile strip linking the two (now the Midway Plaisance). 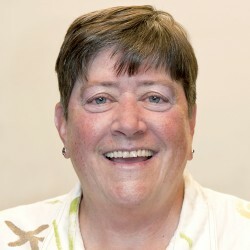 Olmsted was ultimately chosen as the designer. When contemplating where the park, and then the Fair, would be sited Olmsted said, "There is but one object of scenery near Chicago of special grandeur or sublimity, and that, the lake, can be made by artificial means no more grand or sublime. The lake, may, indeed, be accepted as fully compensating for the absence of sublime or picturesque elevations of land." Olmsted was able to design the inland park before tragedy struck. The Great Chicago Fire of 1871 put any further plans for superfluous things like parks on hold as the city of Chicago was focused on rebuilding. It would not be until 1890 that Olmsted, older and nearing the end of his life, would return to Chicago and finish Jackson Park. 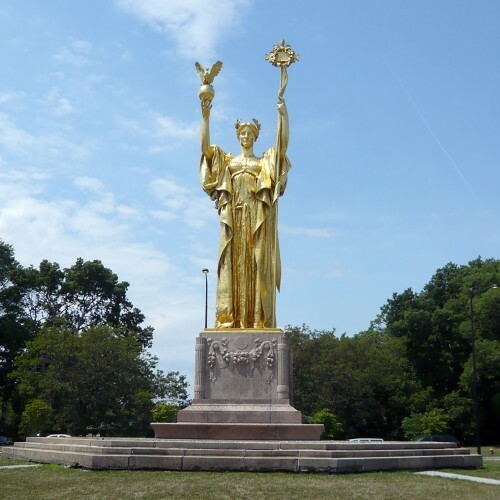 Jackson Park was chosen to be the site of the World’s Columbian Exposition of 1893 even though it was seven miles south of downtown. The reason? Downtown was too messy and polluted! 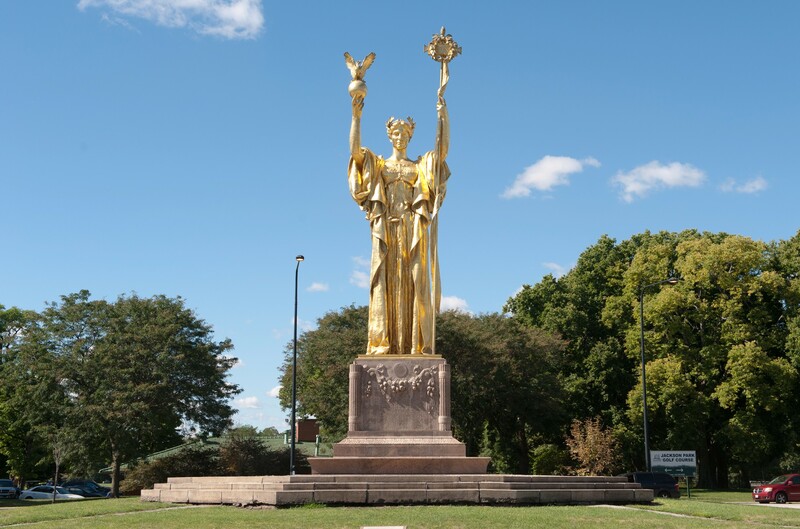 Excavators regularly find artifacts from the World’s Columbian Exposition of 1893 in Jackson Park. 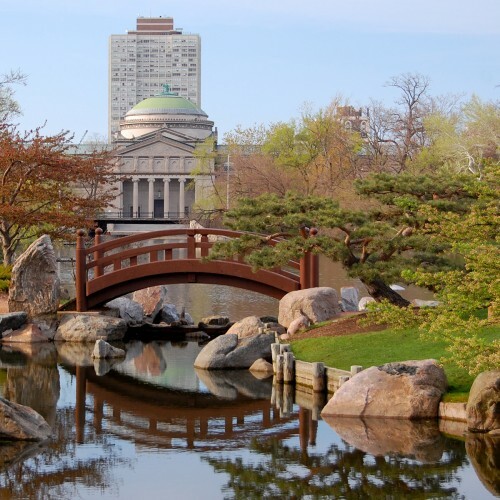 The park is one of just two in Chicago designed by Frederick Law Olmsted. The other is Washington Park. 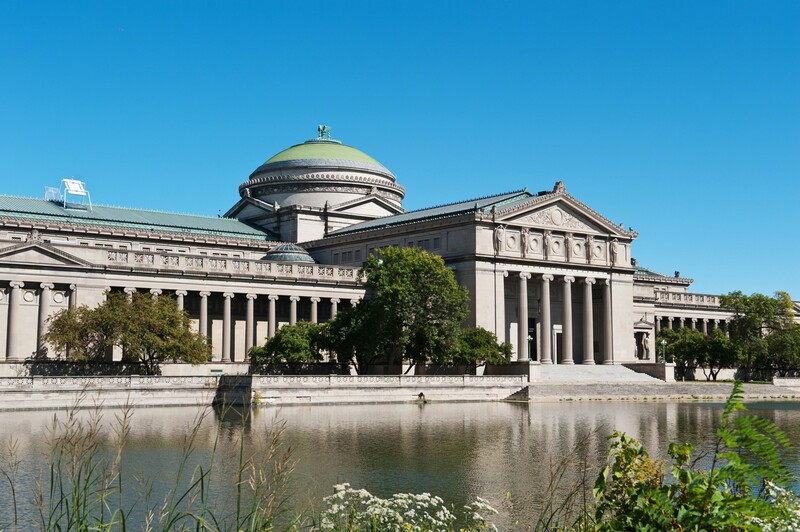 In 1890, the United States Congress decided that Chicago would host the World’s Columbian Exposition. 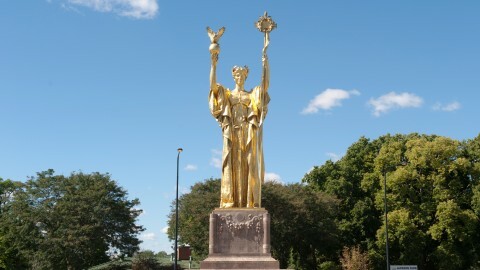 While not held until 1893, the exposition was to commemorate the 400th anniversary of the arrival of Christopher Columbus in the “New World.” The fair commissioners, along with Director of Works Daniel Burnham, decided they needed a preeminent landscape architect to design the grounds and assist in placing the monumental buildings throughout. Olmsted was invited and accepted the commission. 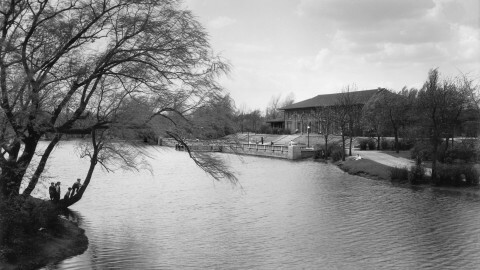 Water was the initial unifying motif of the South Park design, originally proposed in Olmsted’s 1869 plan. In Jackson Park, Olmsted was finally able to realize the entirety of that motif. Before the fair, Jackson Park was a marshy, uninviting wind-swept dune. Out of this environment, Olmsted sculpted a series of basins and lagoons along the beautiful blue lake. His objective in creating the fair environment was to elicit the intense emotion that beauty and nature evoke. He achieved this and more. The fair was an unbridled success and Chicagoans are still gifted with the legacy of Olmsted’s creative mind. One can make the case that Jackson Park is the most beautiful place on the Chicago lakefront. 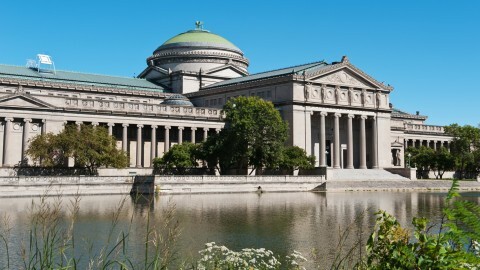 When Olmsted sculpted Jackson Park from the scrubby, windswept dunes of the shore to form the landscape for the Columbian Exposition, he was using and enhancing the beauty he was given to elevate the emotional experience of fairgoers form all parts of the world. This is Olmsted's legacy to us today. 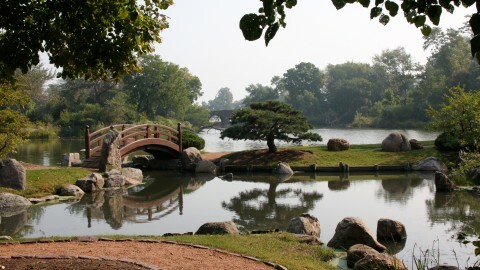 Today, Chicagoans and visitors enjoy the bucolic beauty, quiet and nature of the park. In the very near future Jackson Park will be home to the new Obama Presidential Center. It’s an honor for a former president to be gifted with this incomparable park as the site of his legacy. In 2016, the park received a gift from artist Yoko Ono, a sculpture titled Skylanding. This piece, consisting of 12 stainless steel lotus petals, symbolizes peace and the meeting of earth and sky. It’s located on Olmsted’s Wooded Island, where the Japanese Phoenix Pavilion welcomed weary fairgoers during the Columbian Exposition. She, like Olmsted so long ago, reflected on how very moved she was by the beauty of Lake Michigan. Anyone who visits the park immediately understands this feeling.